Samsung wasn’t going to get out of today’s Unpacked event without an update on the VR front. The company has long had the best low-cost VR headset (courtesy of a partnership with Oculus), and the package is getting a bit better with the addition of a controller to the mix. And as a show of goodwill (in case anyone was wary of jumping back in with the company after last year’s events), it will be tossing the full package in as a free bonus for those who pre-order the newly announced Galaxy S8 and S8+, starting tomorrow, along with some free VR content. There’s a key caveat here – the addition of the controller bumps the price up to $129 from $99. Still pretty cheap, as far as VR headsets go, but with competition from the likes of Google’s Daydream, it’s certainly not the only game in town anymore. Also, it’s worth noting off the bat that the $30 premium is precisely how much the new controller costs as a standalone for those who already own a Gear VR. 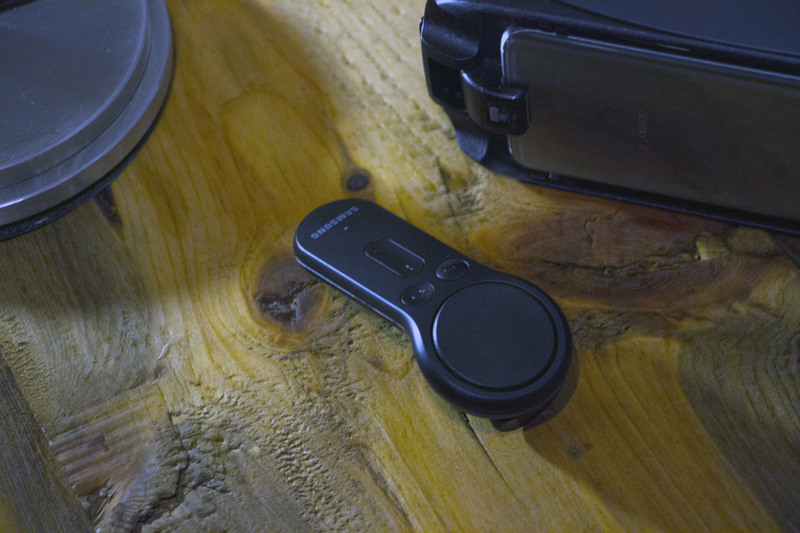 The controller is the one announced by the company back in February at Mobile World Congress. As with the headset, the peripheral was created with help from the team at Oculus. Though, unlike the Rift’s offering, this was created for one-handed use, with a circle touch pad built in that augments the one on the side of the headset built for navigating around menus. There are also buttons for volume, back and home. The controller has three degrees of movement and a built-in trigger. It’s a fairly minimalist offering, as one would expect from what’s essentially an entry-level VR experience, but it should go a ways toward adding a bit of immersion to the Gear VR experience — or at the very least it’ll save users from having to fumble with the side of the headset. The headset itself remains largely unchanged. The coloring is slightly different from the version the company released alongside the Note 7 last year. It’s now something called “Orchid Gray,” in keeping with Samsung’s extremely non-specific naming scheme. The dimensions, naturally, have been rejiggered to accommodate the S8 and S8+, alongside older models dating back to the S6 and Note 5. Otherwise it’s basically the same headset, including the 101-degree field of view and combo USB-C/micro-USB inputs. The new Gear VR will hit alongside the S8 on April 21. The company’s also taking the opportunity to update its Gear 360 camera. This one’s getting a more dramatic visual update, moving the 1,160mAh battery down to its base rather than its enlarged head. 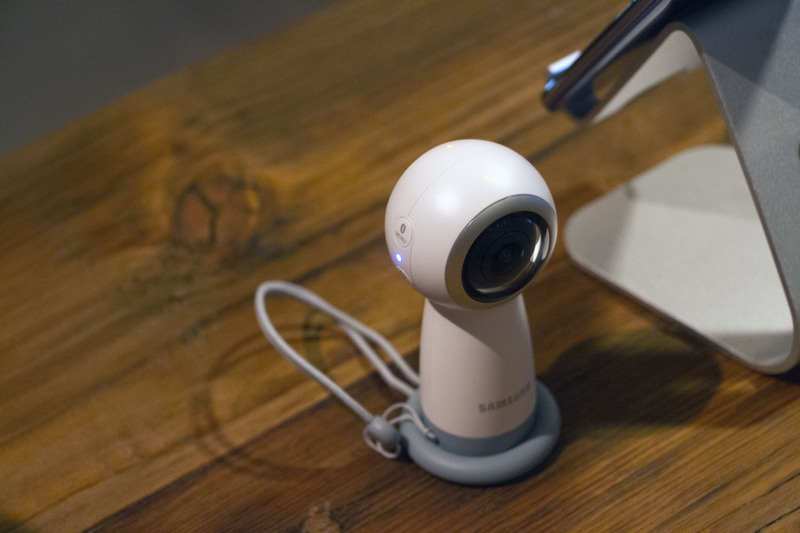 The 360 camera is capable of shooting 4K video at 24FPS, via its pair of 15-megapixel cameras. It can also stream video in 2K. Most compelling of all, the company will be making the camera compatible for iOS and macOS.